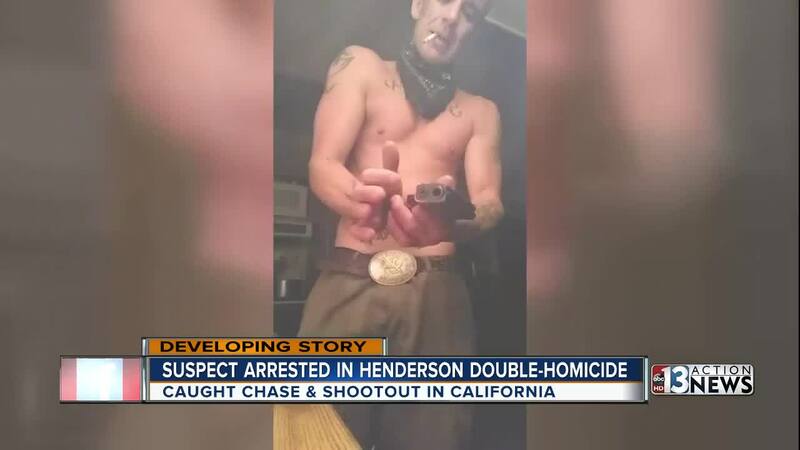 A man who is wanted for Friday's double homicide in Henderson has been shot by deputies in Southern California in an unrelated case. 36-year-old Roger Tindell was shot early Wednesday morning. Deputies received a call about a shooting in the 7400 block of Elk Trail in Yucca Valley, which is near Palm Springs. Upon arrival, they were told that Tindell had left in a silver BMW with a female and was believed to be armed. Deputies were able to locate Tindell and attempted to stop him. He refused to stop and they chased him through Yucca Valley and Morongo. The pursuit ended when Tindell collided with a patrol car. Tindell opened fire on the deputies and deputies returned fire, striking Tindell. A Facebook Live by a man named Roger Tindell appears to show what happened before being shot. Another Facebook Live by the same person shows him with a gun before the chase. 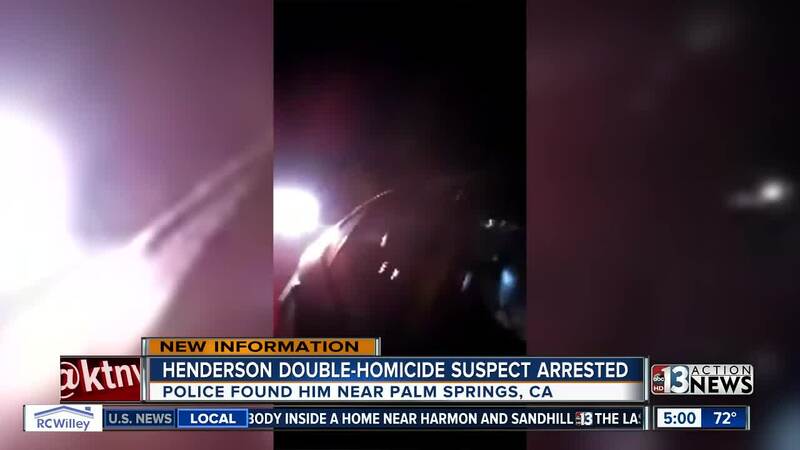 Deputies discovered that Tindell was wanted for a double homicide in Henderson. Henderson police confirmed Wednesday afternoon that he is wanted in Friday's double homicide on Forest Street . Warrants were filed this week for two counts of open murder through the Clark County District Attorney’s Office. 28-year-old Mellisa Mason and Rob "JoJo" McComb were killed inside their home. Police also discovered that Tindell shot a male in Yucca Valley before the chase. The 43-year-old male victim was taken to a local hospital. His prognosis is unknown. The 24-year-old female was uninjured. Tindell is currently in a California hospital and is expected to recover. He is a resident of Morongo Valley.